After a small but successful workshop in Trondheim, the conference in Frankfurt/Oder is the next awaited ENCOUNTER-event. It should have a larger dimension. Its title, “Managing manorial heritage. Scaling and balancing of public and private issues”, reflects the fact that in most European countries the state takes care for a limited number of outstanding objects only. This means that the large number of manors is owned by private persons or small rural communities or even abandoned. Exactly this category should be the focal point of the conference. All these objects are at least in the local scale important since the manorial heritage is seen as part of the cultural capital and as one of the key educational resources in rural regions. However, this importance is many cases contradicted, because many objects are inaccessible for public, so that all their visual qualities and explanatory power are not evident at all. How can these typical home-related problems be solved in practice? Are there regulations done by the state or any proper solutions provided in the framework of tourism? The uses of the manorial heritage are very differentiated and depend on the developments in recent history of particular European regions. But our times bring some new challenges as well. The rural areas are almost everywhere across Europe affected by strong social and economic change. The paradigms of the urban life styles and global mobility make the future of many rural locations – especially in larger countries – not predictable. Therefore, we should think in a preventive way about the resilience strategies for the manorial heritage. They still maters for political reasons because they can be used as a medium of governance in order to achieve a productive interaction and activation of local groups towards the economic regeneration and social inclusion. Tourism seems to be the way to achieve these goals and to gather the means necessary for safeguarding of historic objects. Nevertheless, in many European regions one particular manor-tourism-location can hardly survive when there is no tourism strategy at least at regional level. Thus we are going to look at the several forms of regional and supraregional cooperation. On the bottom of all kind of redevelopment and tourism planning there are a lot of specific social questions. Therefore, the Chair for Heritage Studies responsible for the organization of the conference has decided to invite the renowned Leibniz Institute for Research on Society and Space from Erkner/Brandenburg and especially its Department Dynamics of Communication, Knowledge and Spatial Development to be the co-organizer of the conference. This is the reason for several inputs from social sciences in Frankfurt/Oder. We are looking forward to the contributions of such sociologists as Prof. Gabriela Christman (Leibniz Institute, Erkner), Prof. Sybille Frank (Technical University Darmstadt) or Prof. Wulf Tessin (Leibniz University Hannover). The participants will obviously get a close look at the situation of privately owned manors and castles in Germany, especially in its eastern part and in the Brandenburg region. Moreover, since the call for papers is still open, we warmly invite further speakers from other Western and Central Eastern European countries. The fee which is necessary for covering catering and lunch expenses for the two days’ lecture program (05.-06. October) is 99,00 Euro. Apart from this, on the 07. October a very intense half day tour to six manors in the border region is planned. The fee for the conference tour is 49 Euro. 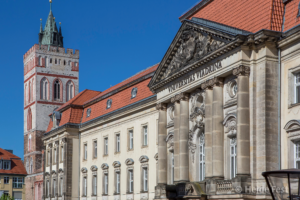 For more details and updates visit the newly created conference website: http://www.encounter-viadrina.de/ The completed conference program should be announced in June at this website as well. 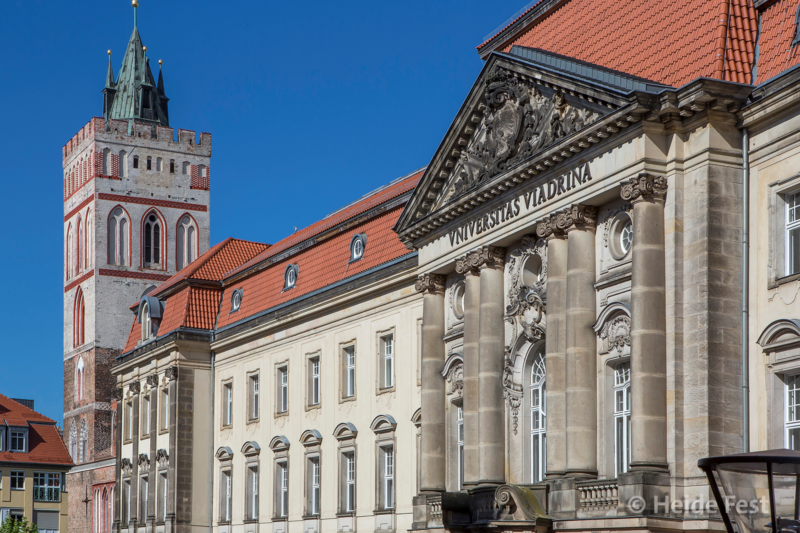 The organizers are pleased to welcome the ENCOUNTER-audience to the European-University Viadrina, a small university awarded with the title “The most favorite university of Germany 2018”. The Danish Research Centre for Manorial Studies is a collaboration between Gammel Estrup the Danish Manor Museum, Aarhus University, Aarhus School of Architecture and the National Museum of Denmark. The research centre was established in 2004 with the specific purpose of promoting research, education, documentation and interpretation on the cultural history and heritage of estates and country houses. It was the initiator of the ENCOUNTER (European Network for Country House and Estate Research) and now holds the chairmanship in the steering group and the secretariat for this network as well as the secretariat of the Nordic Network for manorial history.